Glasgow Airport, Scotland, has invested more than £200,000 (US$260,000) to introduce an eight-strong fleet of plug-in electric hybrid vehicles (PHEV) to its operations. 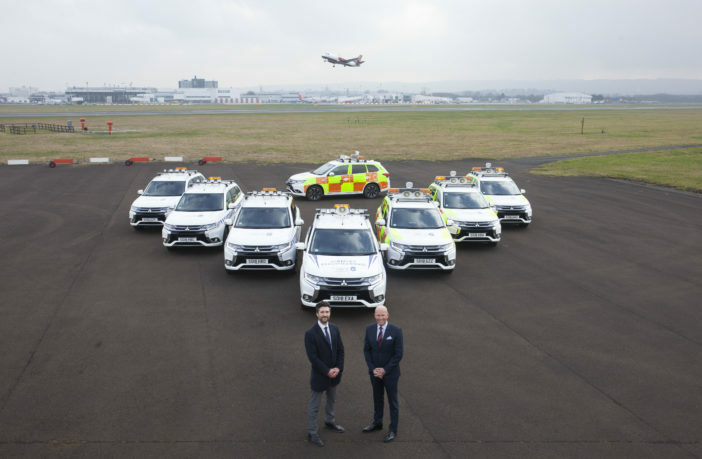 The Mitsubishi Outlander PHEV 4×4 vehicles will be deployed across the airport’s security, engineering and airfield operations teams. A number of charging stations have also been installed across the airport campus to accommodate the vehicles. Unlike conventional hybrids, PHEV vehicles like the Mitsubishi Outlander can be plugged-in and recharged from an outlet, which allows them to drive extended distances using just electricity. When the battery is running low emptied, the conventional engine kicks in to support it. Each of the airport’s new vehicles have been supplied by Arnold Clark and can achieve up to 166mpg, bringing both attractive cost reductions and environmental benefits. Mark Johnston, managing director at Glasgow Airport, said, “The Outlander hybrid vehicles are fantastic additions to our fleet. The vehicles they have replaced produced between 200g and 230g/km (8.8oz) of CO₂ whereas the Outlander is around the 41g (1.5oz) mark. Interested in EVs? 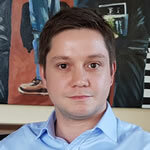 Don’t miss the Environment & Sustainability stream, which includes a presentation from Taoyuan International Airport Corporation Ltd, Taiwan, on its latest EV initiative, at this year’s Passenger Terminal CONFERENCE, which takes place during Passenger Terminal EXPO, 26, 27 and 28 March 2019, in London. Register here for your delegate pass.